The body of a woman, who was murdered by slitting her throat, has been uncovered in Kantale police division. The police suspect the murder was carried out by the husband of the deceased at around 6.10 a.m. this morning (22) owing to a personal dispute. 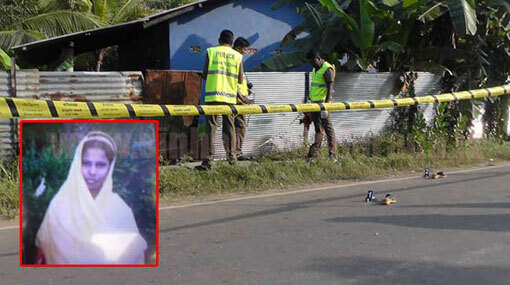 The deceased has been identified as a 28-year-old woman named Mohamed Rasmiya, residing in Peraru West, Kantale. The remains of the deceased are currently placed at the Kantale Hospital. Kantale Police is conducting further investigations to apprehend the suspect.